Every other week, I pull out every type of mask I own and go crazy. I tend to reach for the Sephora brand because not only are they inexpensive but also easy to use. They are also perfect for travel to keep you on your facial routine. I will warn you they are cold so I like using mine after a hot shower. I like to lay on my couch or bed, you know try and get as close as I can to that spa experience. Of course, I turn on music and close my eyes, that’s the best part. I like that you can rub in the remaining product on your face after removing the sheet mask. The times that I lay in my bed it’s even better because I turn the lights out right after. The foot mask works great when I am in between pedicures. 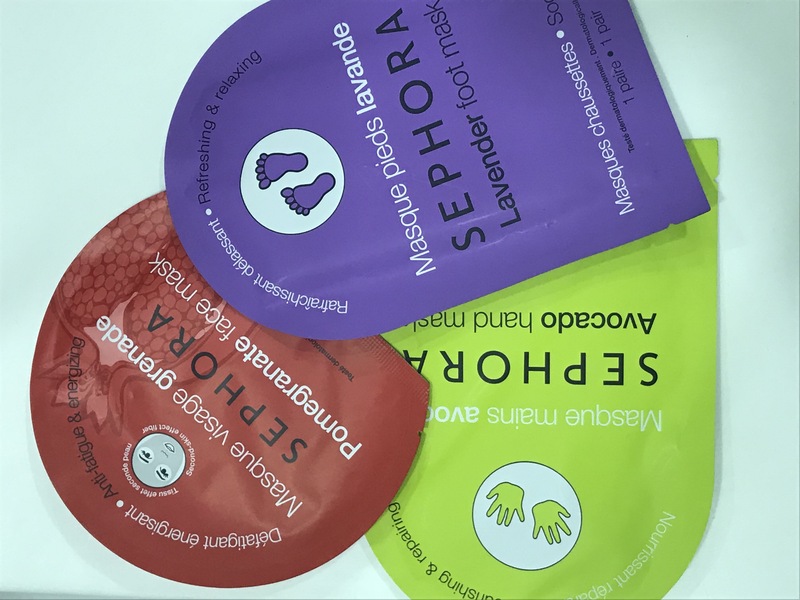 Outside of a spa, this is the first at home foot mask that I tried. Again this is another that I can rub into my feet and say goodnight. There have been nights I have fallen asleep with it on overnight. The hand mask is great when I am in between manicures. I wash and sanitize my hands a lot at work and I like that this mask brings back the moisture in my hands. Up Next!!! Sephora Collection: Lip, Eye & Sleeping Mask. I will be covered head to toe literally.